The rebranded Business Today has a new logo, masthead, catchphrase and more pages in several new sections. 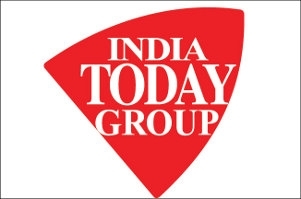 In a recent announcement, business magazine Business Today, from the stable of the India Today Group, has undergone a revamp. The rebranded Business Today has a new logo, masthead, new business catchphrase - 'Rebrain or Rot' - and more pages with finely curated and filtered information and features in several new sections reflecting the change in global conditions. In the current world of fast and unprecedented changes where technology and innovation are upending entire traditional businesses, Rebrain symbolises reinvention, rethinking and rewiring. 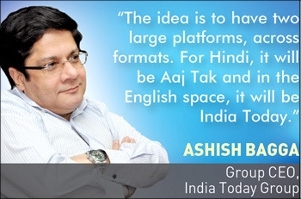 Commenting on the revamp, Aroon Purie, chairman and editor-in-chief, India Today Group, says in a press release, "Keeping pace with the changing times, we at the India Today Group, have completely reimagined Business Today keeping in mind the need for today's reader to comprehensively 'rebrain' themselves without losing any of the magazine's core values." Monisha Mitra, director, BEE Advertising, says in a press release, "It was exciting and extremely challenging to be part of this project. How often does one get the chance to work on the relaunch of a magazine like Business Today and work with a group that is always on the go and challenging you to creatively think different? We wanted to create something unique, as differentiated as the brand itself. We understood that the idea had to be unique and fresh to get people to change the way they look at business. We all talk about rewire, rejuvenate, re-establish; REBRAIN felt right." She adds, "The REBRAIN emoji and acronym suggested by the team is a fabulous reflection of an idea that tells people you need to keep pace or be left behind. We use emojis in everyday life and we believe that the Rebrain emoji will get popular and become a business language of the future. It's been a long but exciting time working with the team at Business Today."